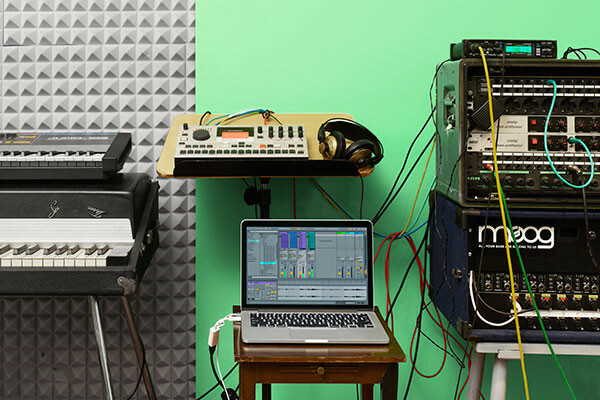 Ableton recently announced the release of the new PUSH alongside LIVE 9.5 - a free update for all Live 9 users. It's also inviting owners of the original Push to take part in a trade-in that offers a big saving on the new version. Plus, Ableton is introducing LINK, a new technology that lets you play in time with multiple instances of Live and a growing number of iOS apps. Large multicolour display. Push's crisp and colourful new display adapts to show you what you need and keep you in the creative flow. Library navigation, sample waveforms, effects parameters, and mixer levels are instantly visible on the display and tweakable via the touch-sensitive encoders. Sampling workflows. Push now has fast and flexible sampling workflows that let you slice samples across the pads and play back single hits and timestretched samples. Create looping instruments on the fly, chop up drum kits from recordings, or play longer rhythmic samples back in tempo - all without taking your hands off Push. More musical and expressive pads. Push's new pads have been carefully redesigned to feel just right for musicians of all kinds. Softer, smoother, and more responsive, they provide the perfect playing experience for creating beats and melodies. 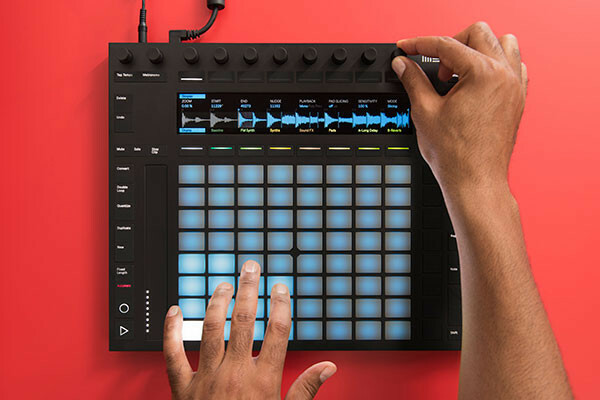 Ableton is launching a trade-in initiative in which owners of the original Push can return their used unit and save up to 30% on the new one. Returned Push units will be refurbished and given to music education projects for young people - along with copies of Live - for free. Live's powerful yet easy-to-use sampling instrument has been completely overhauled with a new interface, warping and slicing capabilities, and new analog-modeled filters. Now Simpler lets you slice samples across the keyboard, play single hits, or warp long samples so that they always stay in time with your song. Live 9.5 introduces new filters based on classic vintage hardware that will self-resonate, produce feedback, and distort beautifully. Built in collaboration with Cytomic, these filters are now included in Simpler, Sampler, Operator, and Auto Filter. Mixer volume meters now show both peak and RMS levels, indicating both sudden changes in level, as well as perceived loudness. This makes controlling your track's dynamics easier. Plus, new waveforms show more visual detail of your audio samples, with smoother zooming and scrolling. Live 9 Suite owners can enjoy three stunning new Max for Live synthesizers that offer a wide range of sound design possibilities within a streamlined set of controls. These include Bass, a monosynth designed for bass sounds; Poli, a polyphonic synth that excels at strings, pads, and stabs; and Multi, a synth designed for immediate tweakability from Push. Coming soon, Link is a new technology that lets you play in time with multiple instances of Live and a growing number of iOS apps. It syncs devices' timing over a wireless network, so you can set up almost instantly and jam with others as freely as a live band. Link will soon be available to Live users as a free update, and to the wider music-making community as a built-in feature of a growing number of iOS apps.